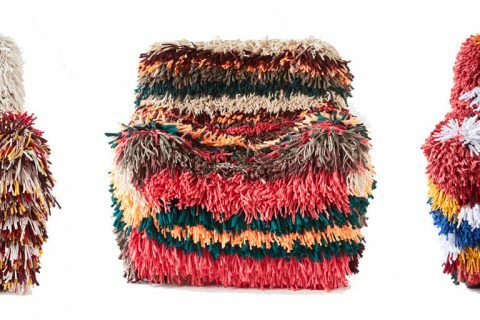 Launched in January 2017, the Ragamuf chair cover – featured by The Ruggist on 14 February 2017 – was a critical and financial success with the original Ragamuf line selling out and finding homes in twenty (20) countries worldwide. 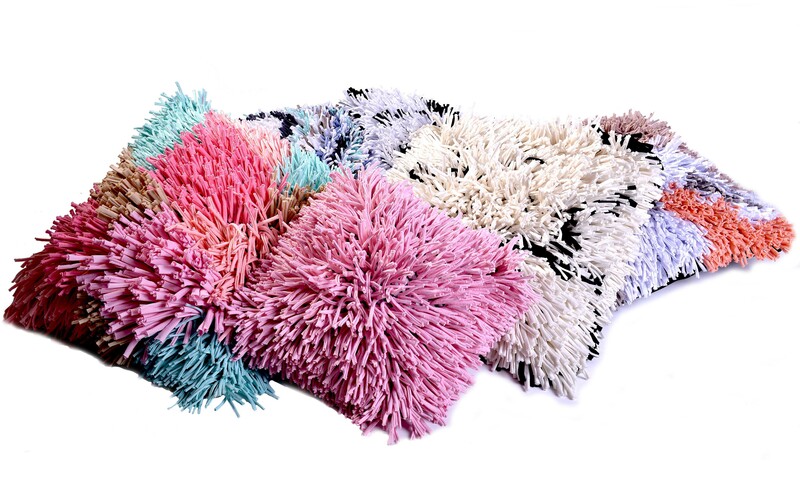 Initially funded by an Indiegogo campaign, the goal of Ragamuf’s founder Martta Leskelä was to provide meaningful employment to female Syrian refugees living in Turkey. She succeeded in this regard via Ragamuf, but sought to provide a more lasting means of income for those women. This his how Ragmate – launched on 7 March 2018 – was born. 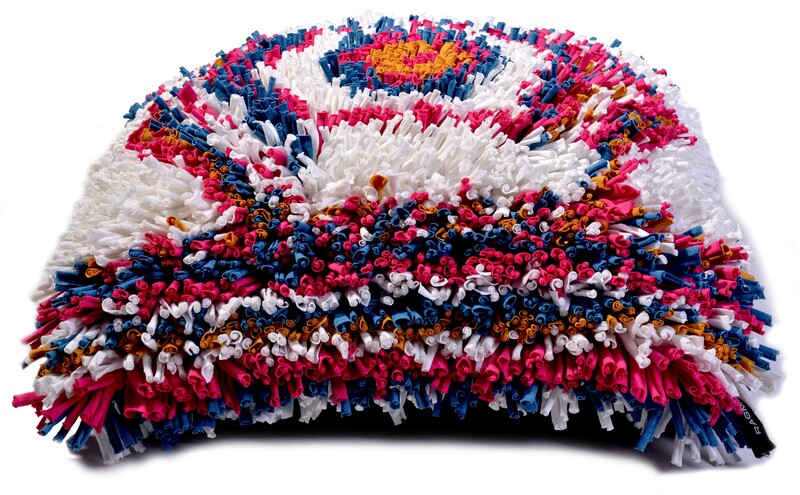 Ragamuf’s signature repurposed fabric texture is available as Ragmate cushion (toss pillow) cover as of 7 March 2018. | Image courtesy of Ragmate. 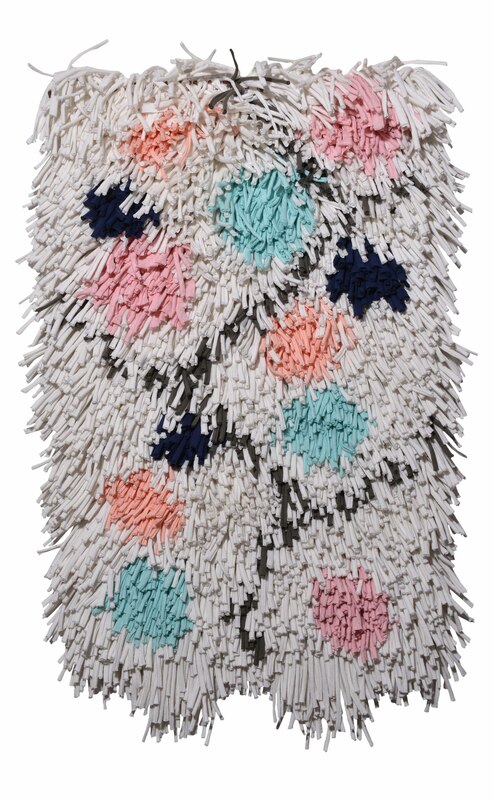 ‘Wish Balls’ wall rug by Ragmate is made using the same repurposed fabric texture as the original Ragamuf chair cover. | Image courtesy of Ragmate. 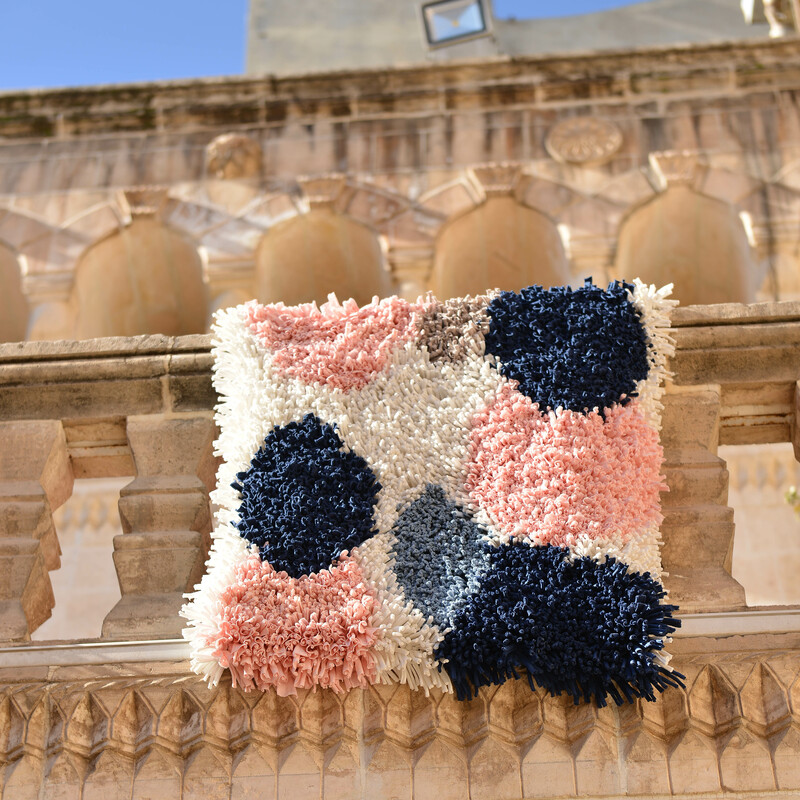 The new collection draws inspiration from a wide range of sources, from medieval times to the modern day, from functionality to art, from fabric scrap to treasured adornment for the home. As all of the items in the collection are handmade and labour intensive, the production creates significant employment for the twenty-three (23) Syrian women currently employed by Ragmate and fulfills the business mission of Leskelä which is to help the most disadvantaged lead a more independent and happier life. ‘Airing Out’ photo of Ragmate wall rug. | Image courtesy of Ragmate. ‘Love and respect toward people and nature, vision, expertise, quality and excellent customer service, have been the guiding principles of the company.’ according to the Ragmate website which adds ‘From this point forward, Ragmate’s story will be told and narrated by the customers and makers of Ragmate products.’ Taking a few moments to read the inspirational words of the refugees who make the Ragmate products provides a window into the indomitable human spirit. To contrast the messages of hope and love, of perseverance, against images of despair and destruction, is to remind each us of the role we play in this unfathomably large world. As for the stories of those who purchased an original Ragamuf or those who will purchase one of the new Ragmate products… . Let us just say that by this commentators estimation, as the invited guest of the Italian brand Falconeri, the forthcoming exhibition of Ragmate during the Salone del Mobile in Milan this April is likely to provide the brand ample narrative.